Contribute to overall operational, programmatic and administrative coordination and implementation of the Joint Project in Tanzania. This includes convening joint programme meetings with Participating UN Organizations, coordinating the development of joint annual work plans, managing the budgetary and administrative aspects of the joint project, and facilitating results-based monitoring, evaluation, and reporting of results, based on the requirements of the joint project included in the project agreement. Assist in convening regular coordination meetings with Participating UN Organizations, and establish close coordination with the ministry of education and other relevant ministries and the national mechanisms for gender mainstreaming/gender equality. Participate in appropriate national, regional and global forums on gender, education, and health, and identify opportunities for synergies with national policy development, standard setting, and programming in Tanzania. Ensure administrative and logistical support to the project activities in line with UNESCO rules and regulations in consultation with the Project Coordinator and other project team members and working in close collaboration with the Administrative Officer and his team for the implementation of the project activities. Support Joint Programme communications, including providing inputs for websites, press releases, speeches, presentations, to raise the visibility of the girls’ and women’s education and the partnerships between UN Women, UNFPA, the donor and UNESCO. Document lessons learned from the Joint Programme, including approaches, methodologies, tools, success, and challenges, with a view to sustainability, programme scale up and support south-to-south learning and knowledge exchange. Facilitate the development of a transparent inter-agency resource mobilization strategy, and play an active role with Joint Programme partners in resource mobilization, including proposal developments, submission, and follow-up with donors. Education: Advanced university degree (Masters or equivalent degree) in the field of education, natural sciences, social sciences, or related field. Minimum 4 years of relevant experience in the field of sciences or education, at the national level. Skills in resource mobilization, policy advocacy, and community mobilization. Excellent coordination and networking skills, and an ability to build and sustain effective partnerships inside and outside of the Organization. Strong interpersonal and communication skills, both oral and written, including the ability to prepare reports and to present in clear and concise ways. Ability to work effectively in a team and to maintain effective working relations in a multi-cultural environment. Education: Specialization in STEM education and girls’/ women’s education. Skills and competencies: · Office management skills and knowledge of accountancy principles to maintain financial records. · Ability to perform several tasks concurrently and to work well under pressure. Languages: Knowledge of another official language of UNESCO (Arabic, Chinese, French, Spanish, Russian). To apply, please send your application letter, UNESCO CV, in English to ao. 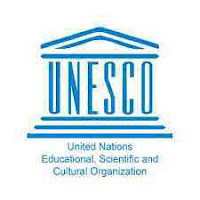 [email protected] Application files with the reference “National Associate Project Officer” will have to reach UNESCO office before 19th April 2019 (Midnight East Africa Standard time). Please note that only pre-selected candidates will be contacted. UNESCO’s salaries are calculated in local currency and exempt from income tax. Other benefits include 30 days annual leave, family allowance, pension plan, and medical insurance. UNESCO is committed to promoting gender equality within its Secretariat. Therefore, women candidates are strongly encouraged to apply. Persons with disabilities equally are encouraged to apply. UNESCO applies a zero-tolerance policy against all forms of harassment.